How are new shows performing in the US so far? 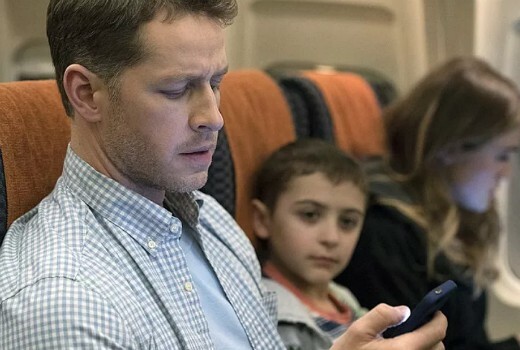 Manifest is the best new season performer in scripted titles in the US averaging over 13 million viewers. Reality series The Masked Singer outranks it, but NBC is tops in new dramas with New Amsterdam. This table notes their season average based on episodes screened on network TV so far. They look like premiere numbers. Last Monday Manifest had a 0.9 rating and a 4% share (18-49). US advertisers pay on live + 3 day timeshifted numbers. As there isn’t much difference in the +3 for dramas, the 18-49 overnight ratings are a good guide of how a show is going. Though syndication potential and streaming rights are becoming more important (and for the CW their main goal). Current average ratings for each network are available on the TV By The Numbers cite in the Renew/Cancel section. So the top 2 shows are ones that 9 got, but they don’t rate that well here. At least 9 doesn’t get duds any more like in recent years. For a while there every show they got was axed after one season. Forever, Stalker, Alcatraz, Chicago Justice. I’m sure there’s more that I can’t remember off the top of my head. And when are they going to air seasons 2 & 3 of Lethal Weapon & still waiting for season 3 of The Following. It is interesting. Is it because a lot of people have watched beforehand on other platforms, or is it because of a disconnect between what Australians and Americans like? I wonder this, because I couldn’t get into This Is Us because it was too intensely dramatic without the background humour that most Aussie dramas have eg 800 Words. I just find most American dramas too unrealistic both in storylines and the interaction between characters. The Good Doctor is not on the list. Not a new season series. Manifest has been bumped to 10:55 Thu. What a surprise that no one watched it on Nine when Manifest fans would have already watched on Nine’s streaming thing, in advance. The Conners and Murphy Brown surprise me. Americans sure have a dry sense of humour. To have live audiences having to be overdubbed with canned laughter is sad. At least with todays technology , you would think they could make the canned laughter more realistic and appropriate. Can you please explain how the 18-49 figure works? The US rating system really confuses me. Manifest 3.0. Is that a % of the 13.45 million watching? 18-49 share matters more in the US than total number of people, but US system is not my area. A share is percentage of all households with televisions watching at the time, so 3% of all TV Viewers were watching Manifest at the time, while 97% were watching other shows. In the US Nielsen system, a share is a % of people watching TV who are watching TV. A rating point is a percentage of the total number of people with a TV in their house who are watching a show. “A broadcast’s share tells us how many people watched the show, but with an important difference from a rating: Share is expressed as a percentage of the audience that was actually watching TV at the time.